4 yards x 1 yard = 36 sf. 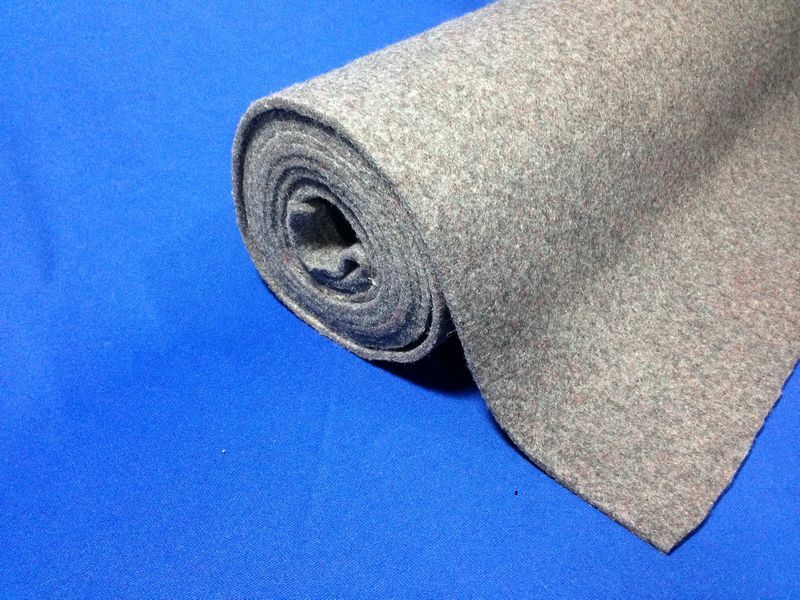 SAM’s is a top quality non-woven mechanically needle punched automotive carpet padding, make from 100% synthetic fibers. Carpet padding that is needle punched is denser and has a firmer feel. Great compression & rebound. Your carpet won’t develop flat spots. Automotive carpet with a separate a carpet padding will remain thicker reducing the appearance of wear for a longer period of time. The synthetic fibers are far superior to cotton shoddy for stability, and durability. 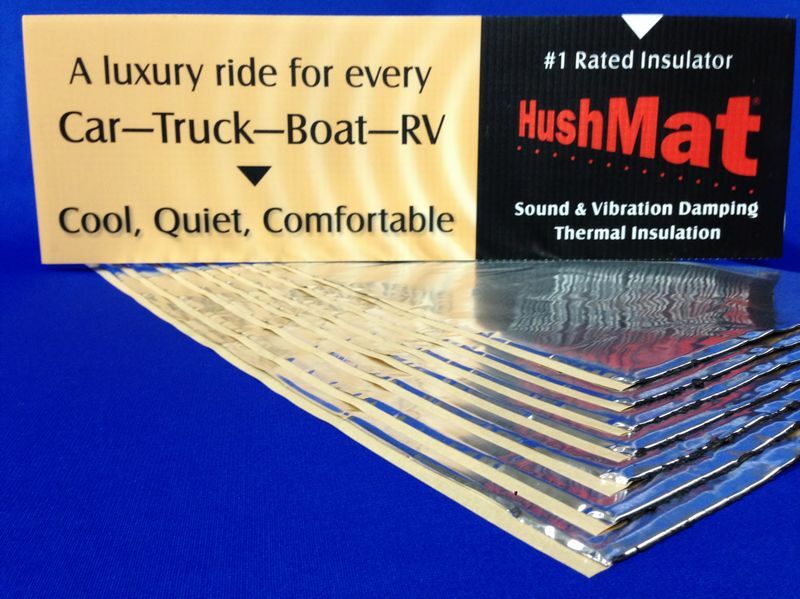 Other benefits are to help insulate your car’s interior from heat. The floor board is a major source of heat. Exhaust, heat from engine & transmission, and the road itself. Heat rises, where is it going? Your car’s interior. 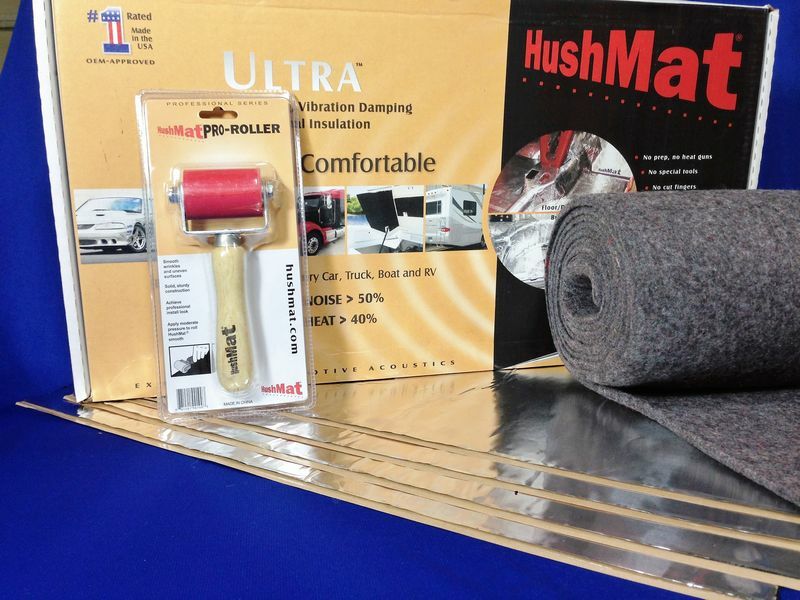 Carpet padding will reduce your floorboard temperature by 50% to 60%. 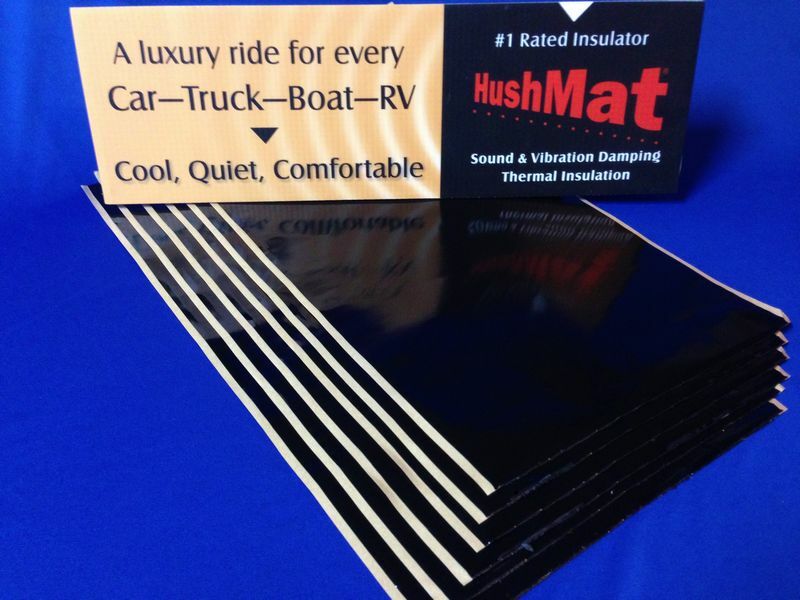 Adding Hushmat to the floorboard will further reduce noise, & heat. Carpet padding also adds a layer noise reduction by absorption. It helps reduce outside road & mechanical noise. Absorbs air borne noise in the cabin. Giving you a quieter, cooler and more comfortable ride. Using synthetic fibers SAM’s padding will not mold or mildew, like cotton shoddy. Weight: 27oz. per sq. /yd.